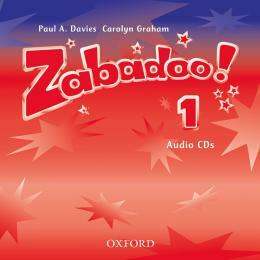 *Zabadoo! - It is an exciting new course for beginners im primary school. The course offers a range of fun and interactive activities based around the children's own experience of the magic and wonder of the world. *Zabadoo! aims to develop awareness of English as a means of communication, to develop children s natural linguistic ability, and to promote an interest in other cultures.ucation, fashion, Hollywood, humour, industry, politics, religion, and Shakespeare.